Art Plumbing, AC & Electric believes in giving back to our communities. That’s why we’re so proud of our Art’s Hearts Community Program. We’ve been serving Florida since 1983 and it is our pleasure to support the communities that we live, work and play in. Each month we provide a new opportunity for a financial contribution to a local charity or nonprofit organization that is nominated by you. 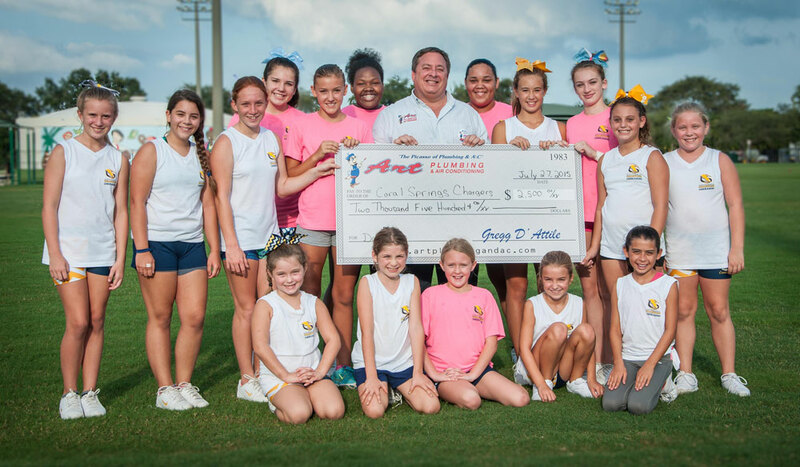 Through this program, it is our goal to help those hard working charity and non-profit groups that make such a difference in our Florida communities where it matters most, close to home. Our random drawing will occur on the last day of the month. If your group is selected as the winner, we will contact you right away. Don’t forget – you can enter as many times as you like, the more you enter, the better your chances! Tell everyone involved with your group to do the same. We will announce the monthly winner on our website, our Facebook page, and in local news publications. To participate in Art’s Hearts Community Program, please complete and submit the form below. Only entries that are completed in full will be considered. Please note – your privacy is important to us. We will not sell, rent, or give your name, address or email information to anyone EVER. By providing your information below, you are consenting to receive occasional communications from our company.